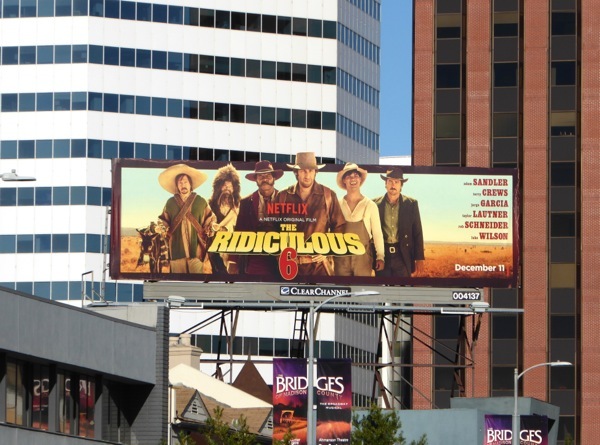 Move over Tarantino's The Hateful Eight, there's a new gun-slinging posse in town this holiday season, The Ridiculous 6. 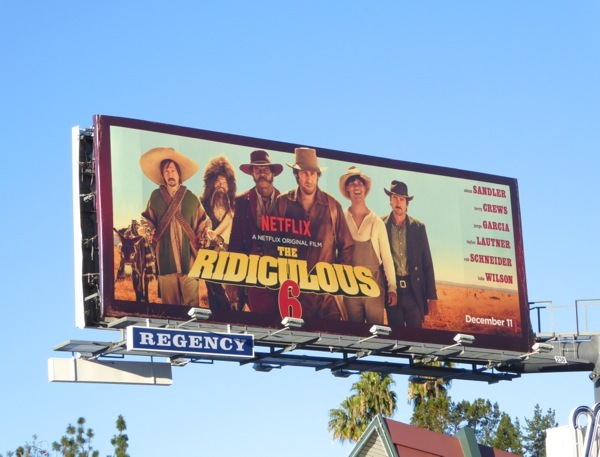 Adam Sandler hasn't enjoyed much success of late on the big screen, so it looks like he's trying his luck on the small screen with this Netflix original film. 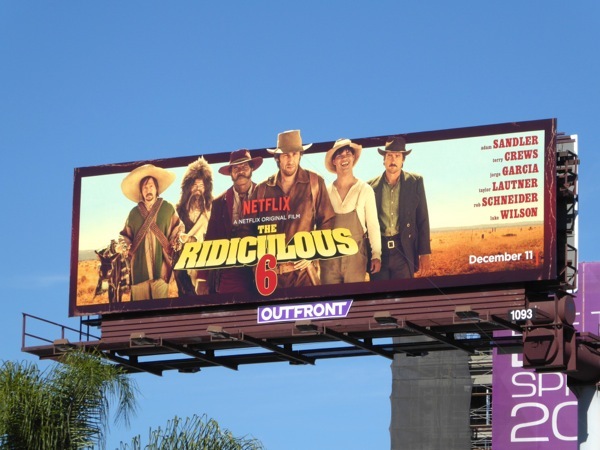 In the Wild West parody that sports an all-star cast including Terry Crews, Jorge Garcia, Rob Schneider, Luke Wilson and Taylor Lautner, Adam Sandler plays a man named 'White Knife' who was raised by Native Americans, but discovers he has five half-brothers who must band together on a a quest to find their biological deadbeat dad. 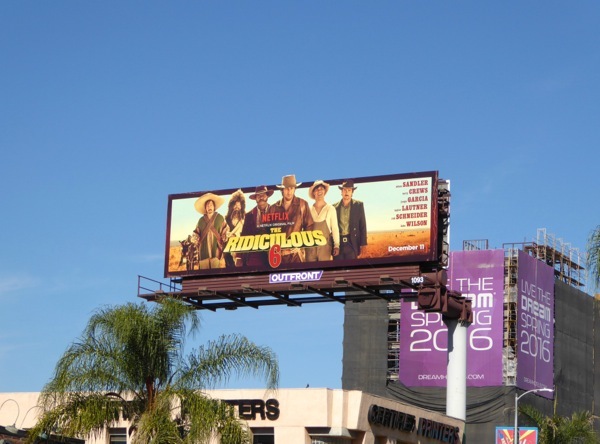 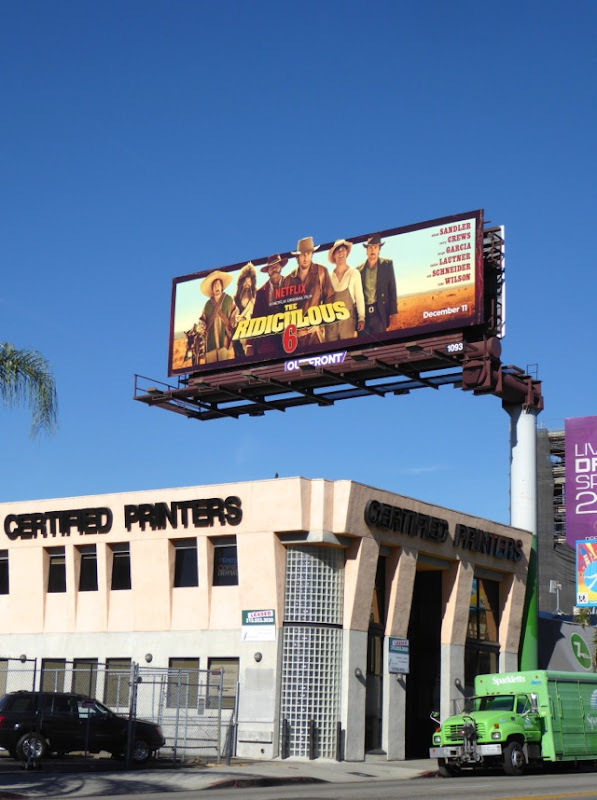 These eye-catching billboards for The Ridiculous 6 were spied along West Hollywood's Sunset Strip and above Cahunega Boulevard in Hollywood on December 2, then later along Westwood Boulevard on December 12, 2015. 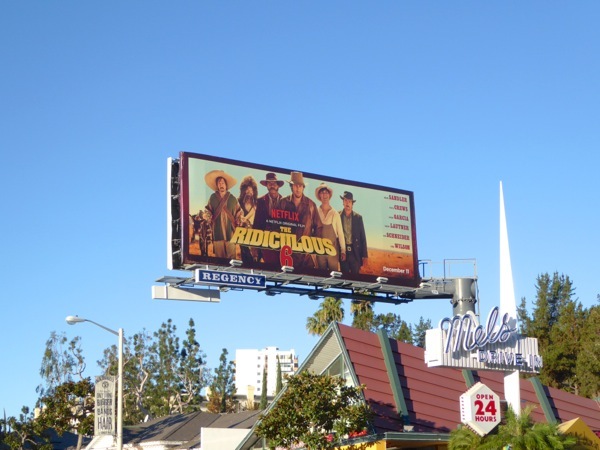 For another Western comedy, be sure to also check out these movie billboards for A Million Ways to Die in the West from May 2014. 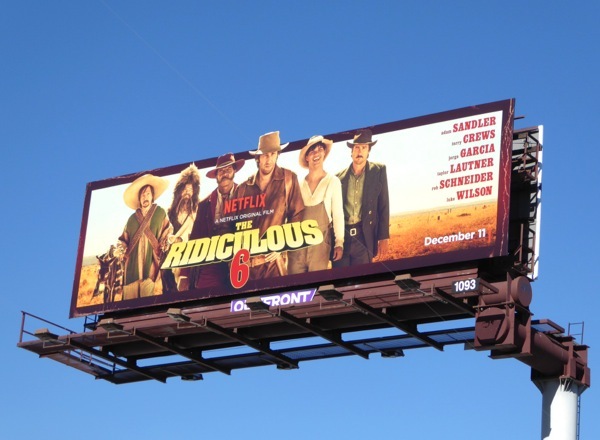 If you're a fan of Adam Sandler, you can also see him in these Blended movie billboards with frequent collaborator Drew Barrymore, these That's My Boy movie billboards with Andy Samberg and these Jack & Jill movie billboards. 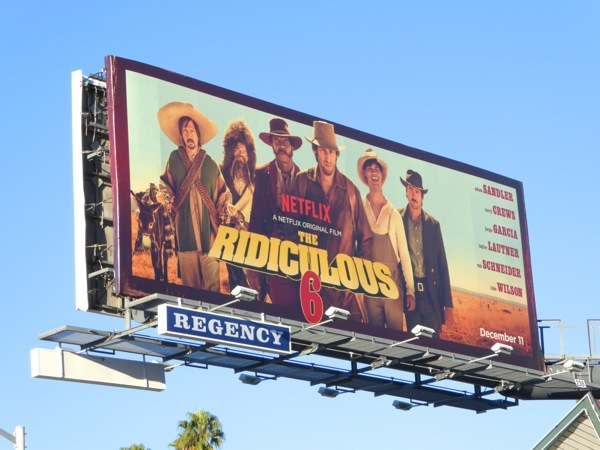 If you have a hankering for a cowboy comedy set in the Old West be sure to saddle up with The Ridiculous 6 (sure to be far funnier than The Magnificent Seven, The Hateful Eight and certainly The Fantastic Four).